Building a Network of Hope: 30 Years of Making Milestones Matter is a multi-track neuro-conference focusing on issues related to: individuals with brain injury and family members, children and adolescents in the school system and transitioning, advocacy and community rehab services, and professional and clinical training. 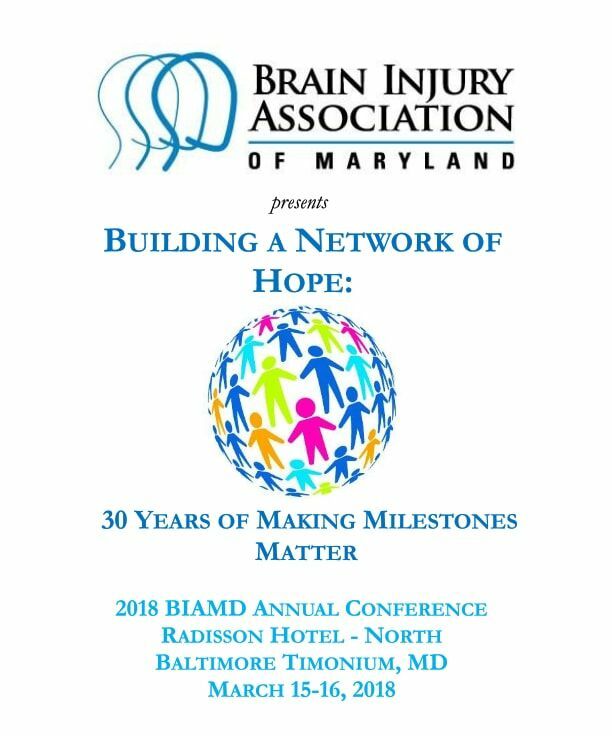 The purpose of the two-day conference is to provide state-of-the-art information about brain injury treatment, services, research, and advocacy and to improve collaboration and networking between individuals with brain injury, families and professionals. You eat yummy brick oven pizza or wonderful pasta, and BIAMD earns up to 25% of the proceeds! John Whyte, MD PhD, is a board certified physiatrist, specializing in traumatic brain injury, and a cognitive psychologist. In 1992 he became the founding director of the Moss Rehabilitation Research Institute (MRRI). Dr. Whyte’s clinical and research activities have focused on assessment and treatment of impairments of attention, executive function, and consciousness, and on the special methodologic challenges posed by rehabilitation research. He has directed two NIH-funded infrastructure grants to support other researchers conducting cognitive neuroscience and cognitive rehabilitation research. Dr. Whyte has received numerous awards for his research contributions. In 2015 he was elected to the National Academy of Medicine. Saul Raisin, laid comatose in a French hospital just over 10 years ago. He almost lost his life. His massive brain injuries were the result of a high-speed bicycle crash. A bicycle helmet saved his life. Saul's parents were told by doctors that he could be brain dead. If he were to live, they needed to find a nursing home for him because he would need special health care assistance the rest of his life. Prior to his crash, Saul was in the process of building an impressive racing resume. He’d won the Best Young Rider jersey at the Tour de Georgia, captured ninth place overall at the Tour of Germany, turned in the strongest American performance at the 2005 World Championships, and won a mountainous stage in the first race of 2006. At the age of 23, his future in cycling could not have been brighter. In the blink of an eye, his world changed. In that same instant, though he couldn’t possibly comprehend it at the time, his life gained real purpose. Saul told his friends and family when he was in the hospital if he ever lived a normal life again that he wanted to give back and help people like him. Frederick Parente, MD, PhD, is a Professor of Psychology at Towson University in Towson Maryland, where he regularly teaches graduate courses in statistics, neuropsychological assessment, neuro-rehabilitation and artificial intelligence. He earned a Ph.D. in Psychology from the University of New Mexico in 1975, and completed a post-doctoral fellowship in Physiology at the University of Maryland Dental School in 1981. Now an adjunct Assistant Professor at the Medical College of Virginia in the Department of Physical Medicine and Rehabilitation, his research and publications involve developing and evaluating techniques and applications for neuro-rehabilitation after brain injury and computer simulation of cognitive dysfunction. Along these lines, he has published three books and over 30 journal articles that involve efficacious treatment of cognitive dysfunction after TBI. Amy Zellmer, sustained her TBI in February of 2014 after falling on a patch of ice and landing full-force on the back of her skull. She is still recovering and understanding the full scope of her injury. 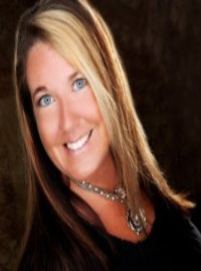 She is a professional photographer and creative coach located in Saint Paul, MN. She is a frequent contributor to the Huffington Post, and a loud and proud advocate for TBI awareness. She sits on the Brain Injury Advisory Council for the Brain Injury Association of America, and contributes to The Challenge! magazine. She travels the country with her Yorkie, Pixxie, and brings awareness everywhere she goes!